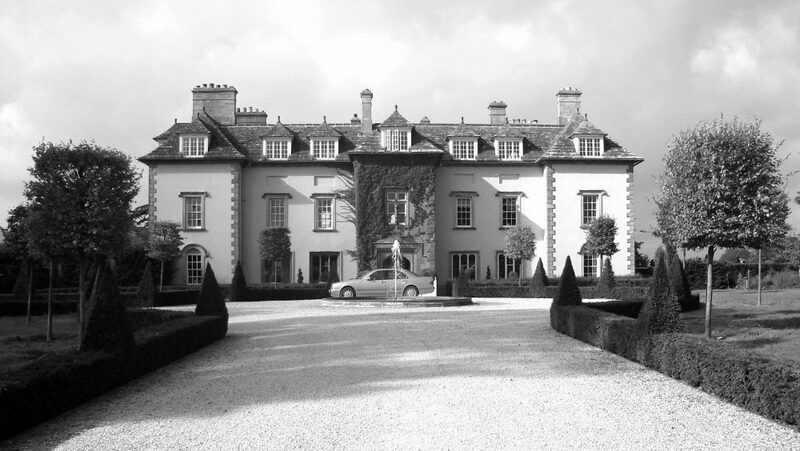 Thornhill was the home of Sir James Thornhill, Britain’s great baroque painter. 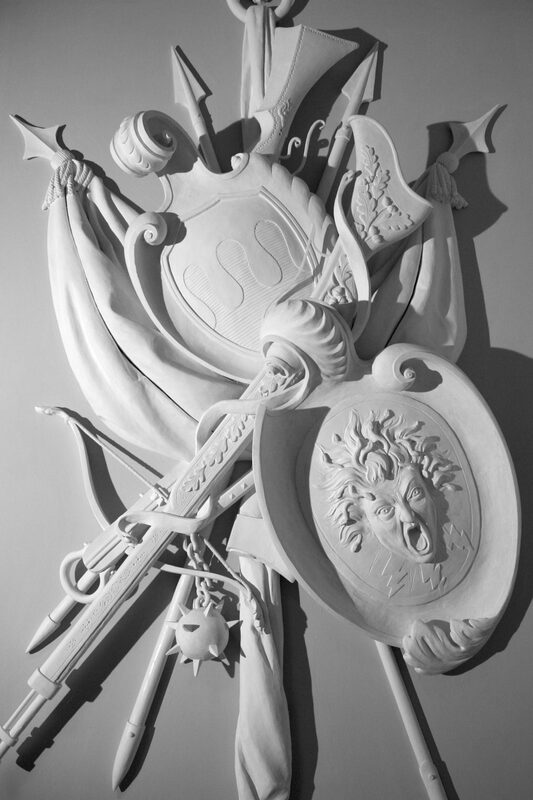 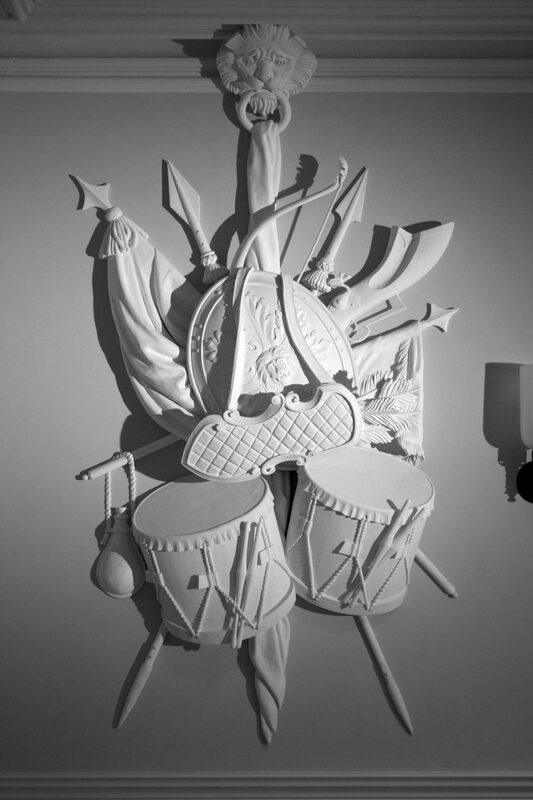 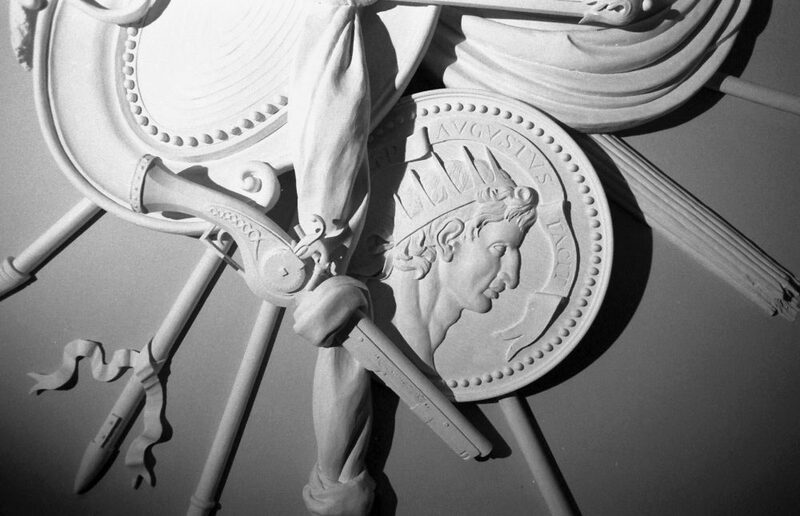 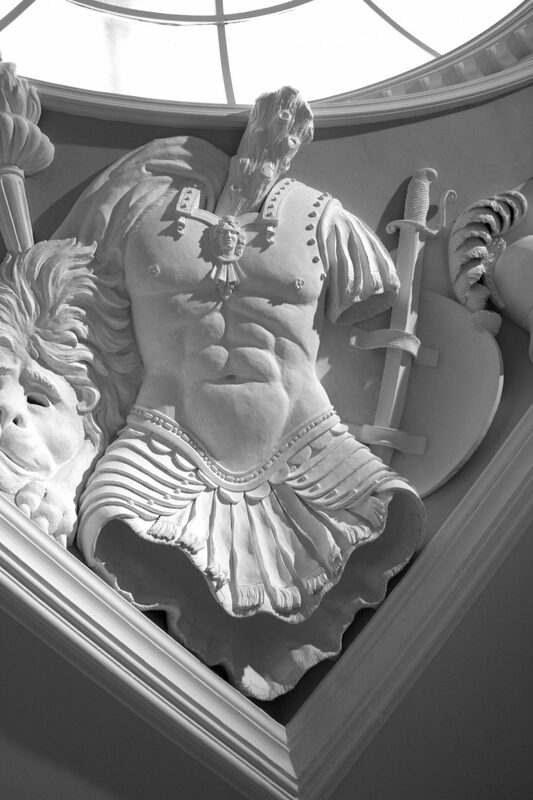 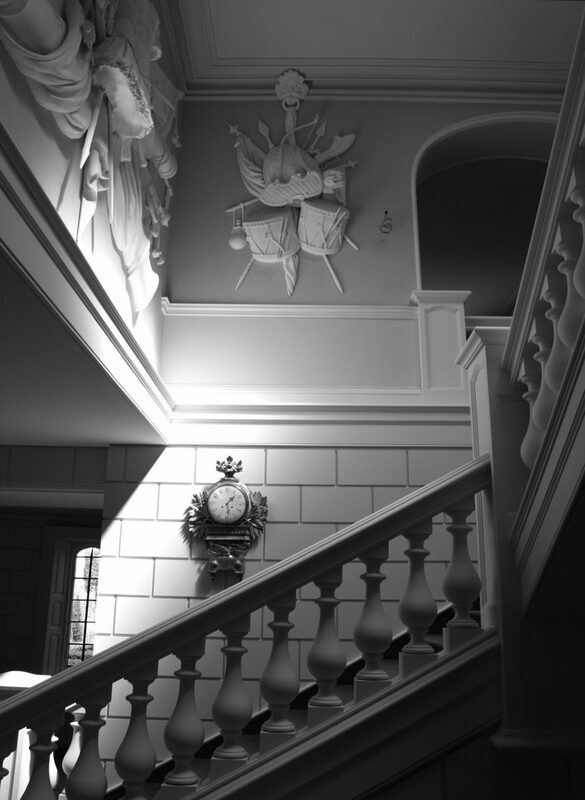 The new stucco armorials in the staircase hall were modelled insitu by a team of six sculptors. 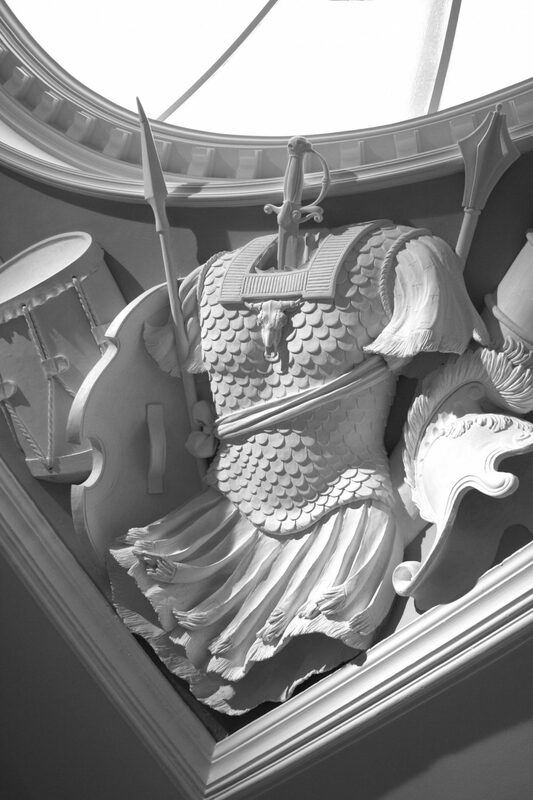 Winner of the 2008 Plaisterer’s Trophy. 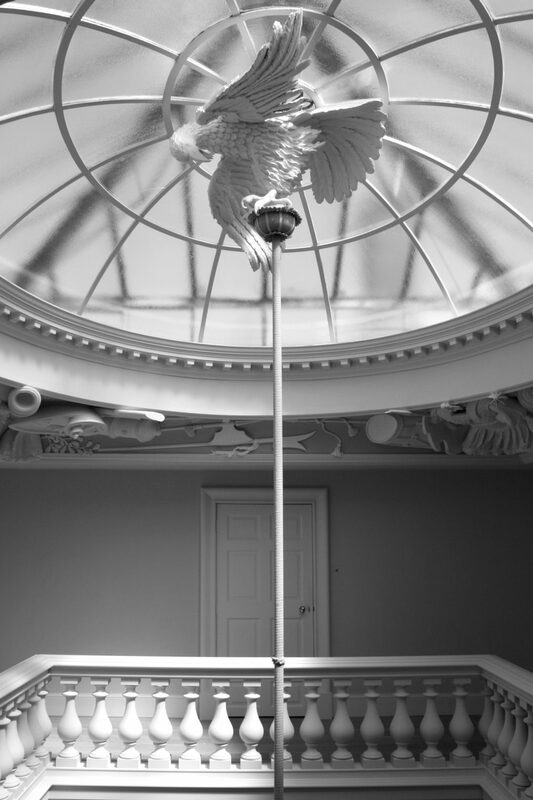 The domed lantern with a stucco eagle supporting the chandelier. 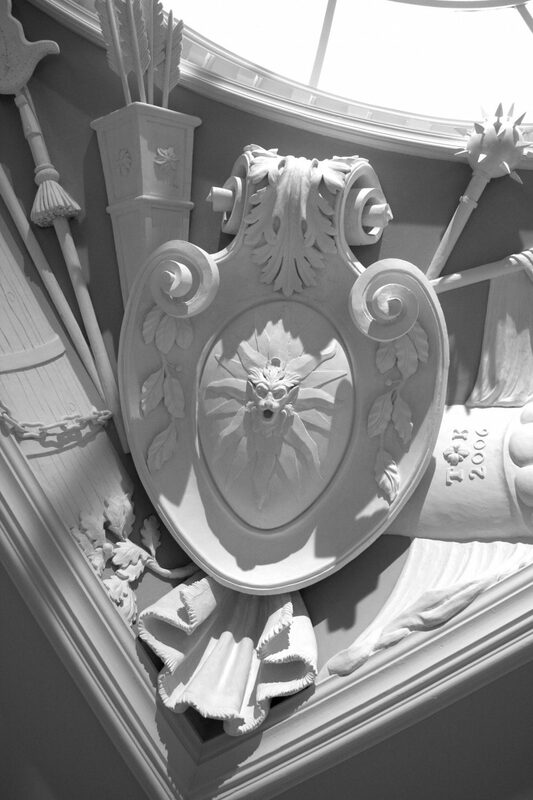 The stuccoed spandrels are visible in the background. 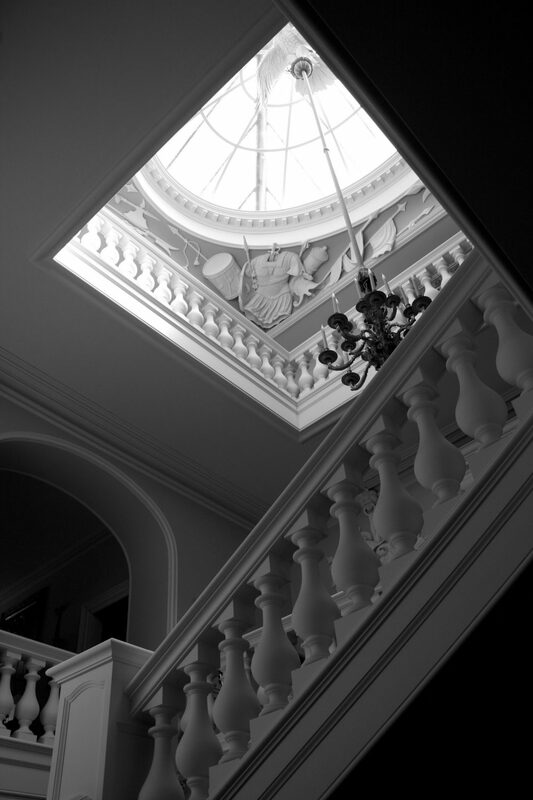 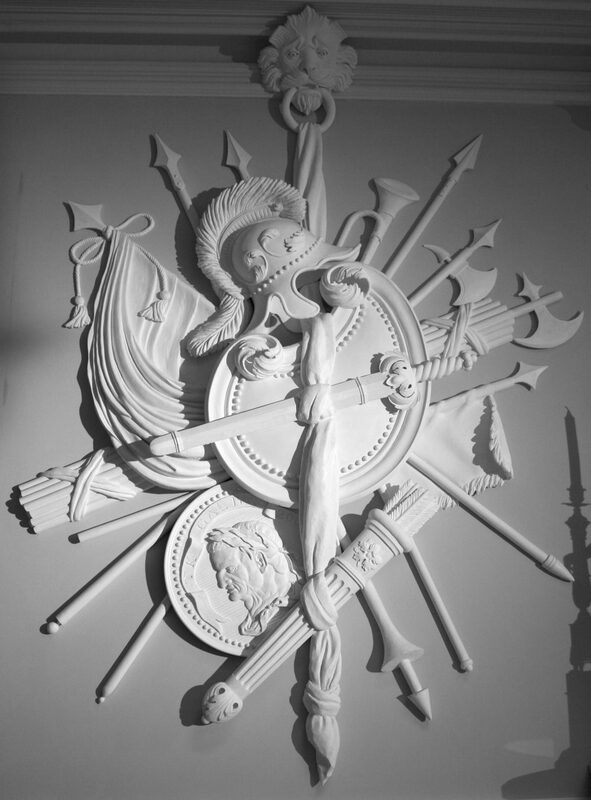 The owner of Thornhill Park, Tommy Kyle, had always wanted a house with spectacular plasterwork and he commissioned Geoffrey to design and make new stucco armorials for the staircase hall. 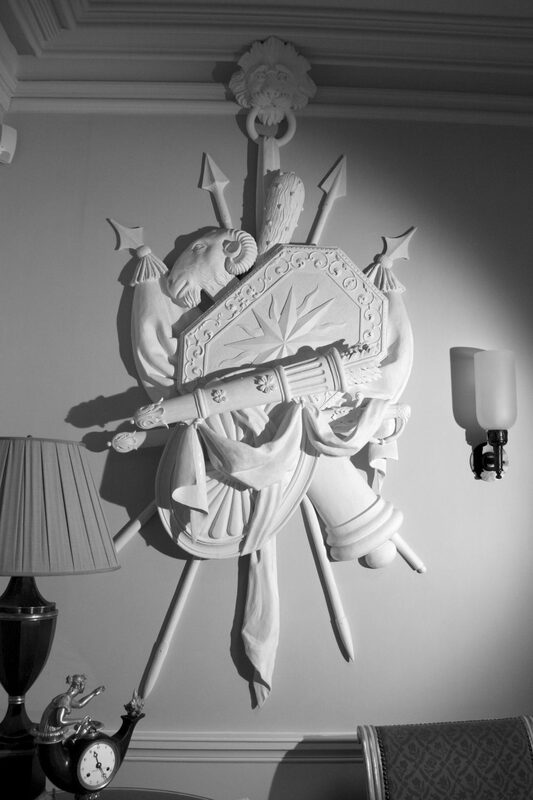 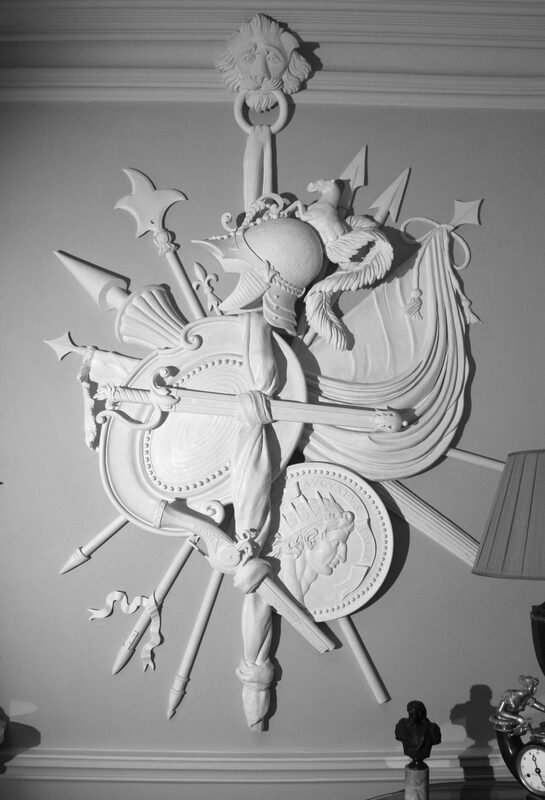 Mr Kyle wanted the new plasterwork to be in keeping with the period when the house was built, and he particularly liked the stucco armorials at Mawley Hall. 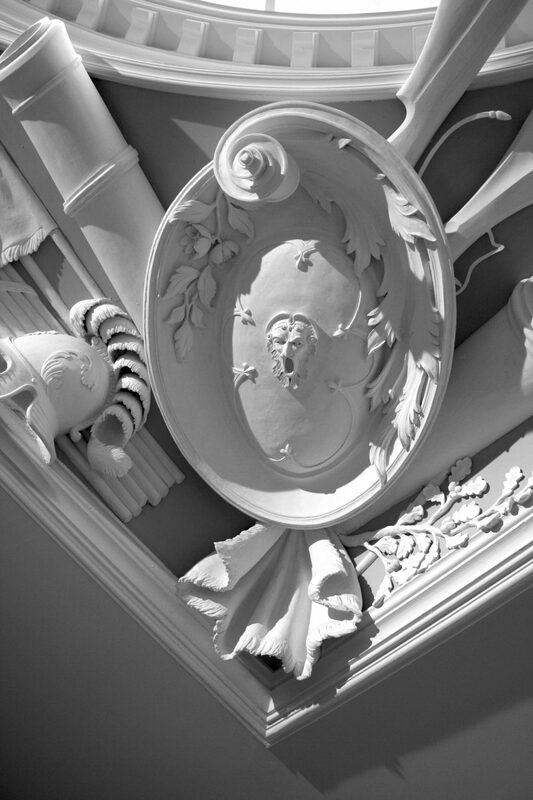 These elements formed the starting point for the designs, which were also strongly influenced by Artari’s incredible work at Moor Park in Hertfordshire (both Mawley and Moor Park date from c.1730).